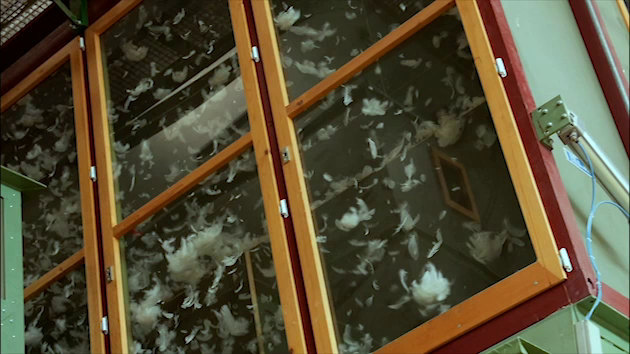 We supply down- and feathers derivating from Goose and Duck in all known quality levels and standards. To be able to offer the customers a stable and reliable product, we are proud to say that we have one of the best equipped in-house laboratories in Europe, constantly being upgraded as new international standards and equipment come into effect. 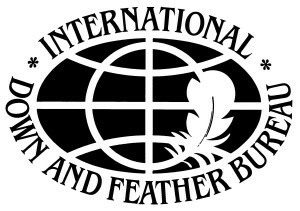 A large raw-material inventory gives the company the possibility to offer a full range of material, ranging from washed small feathers for cushions to 95% “high-down” for top-range comforters, sleeping bags and down-clothing. With good connections and part ownership in collecting plants, farms and slaughterhouses all over Central- and East-Europe, the company can secure a steady, regular flow of raw-material. Situated in the centre of Europe, the company has an ideal location for importing raw-material from all over Europe as well as exporting “ready-to-fill” material world-wide. Peter Kohl are a substantial, central European-based, supplier of high quality Down to the Outdoor Industry. With over 100 years of experience in providing high quality processing, they adhere to the certified Responsible Down Standards, to ensure down has been ethically sourced. Peter Kohl was the first Down finishing company in Europe to install the Nikwax process for producing Nikwax Hydrophobic Down (NHD). NHD is a highly water-resistant form of down which is produced in an environmentally friendly way, without persistent chemicals such as PFCs. Now Peter Kohl are confirming their commitment to innovation and sustainable production by signing an agreement with Nikwax whereby they will ensure that PFC (fluorocarbon water repellents) are excluded form every part of the Peter Kohl production process. This will mean that NHD from Peter Kohl can be used, in future, by brands who want to progress their commitment to zero PFC in production, and Zero Hazardous Discharge. Down is the optimum material for very cold conditions, providing exceptional insulation for the absolute minimum weight. But until recently its big drawback has been its vulnerability to water. When normal down gets wet and it loses all of its ability to keep you warm. However, Nikwax Hydrophobic Down provides the optimum outdoor insulation solution – water-resistance, low weight, and high insulation, without the use of hazardous persistent chemicals. You can shake NHD with water for 1000 minutes and it still will not sink. You can wash it at least 5 times with Nikwax Down Wash Direct and it will maintain its water-resistant and insulation properties. Therefore NHD is not only a high performance material, but also a material that will give you a long and useful life. Nikwax has pioneered the move away from polluting PFC water repellents and continues to demonstrate that high performance waterproofing can be achieved with minimum environmental effect. Nikwax Hydrophobic Down can only be produced with materials that have been screened for ethical sourcing, so the Nikwax brand wraps up sustainability and animal welfare under one banner. 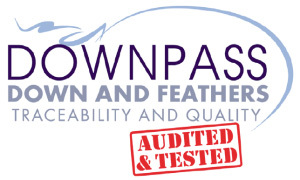 Products with the Downpass label stand for high quality and the assurance that the down and feathers used as the filling material were ethically harvested and come from a strictly controlled and traceable supply chain. 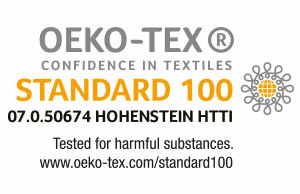 The OEKO-TEX® Standard 100 is an independent testing and certification system for textile raw materials, intermediate and end products at all stages of production. Examples for items eligible for certification: Raw and dyed/finished yarns, raw and dyed/finished fabrics and knits, ready-made articles (all types of clothing, domestic and household textiles, bed linen, terry cloth items, textile toys and more). We also supply “exotic material” in various quantities from origins such as Ireland, UK, Scandinavia, Siberia, Serbia, Bosnia, Macedonia and others.